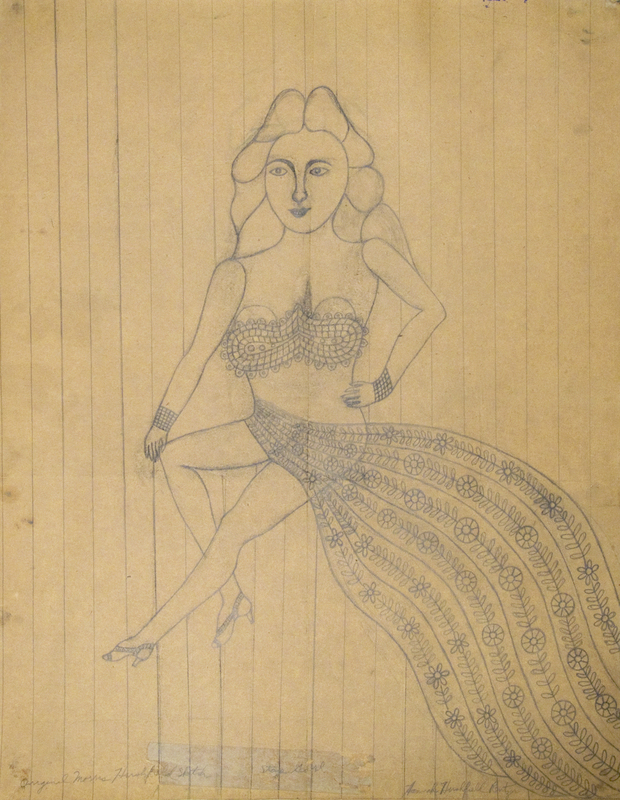 Galerie St. Etienne New York, NY 212-245-6734 gallery@gseart.com Morris Hirshfield (1872-1946), "Stage Girl," 1940-45, pencil on tan wove paper. Titled, lower center, inscribed "Original Morris Hirshfield Sketch," lower left, and signed, lower right, by Hannah Hirshfield Rentzer (the artist's daughter). Drawing for the painting of the same title. 30" x 23 3/4" (76.2 x 60. 3 cm).